An inductee in the Women Diver’s Hall of Fame, Valerie van Heest is an award-winning author, documentary filmmaker, and museum exhibit designer who has been honored by the Historical Society of Michigan for her work in preserving and promoting Michigan’s submerged maritime history. She is a co-founder and president of the Michigan Shipwreck Research Association (MSRA) and has been involved in the discovery of over a dozen shipwrecks, many of which have been subjects in her books. Valerie writes for a variety of magazines, has appeared on CNN, the Discovery and Travel Channels and National Geographic, and maintains a busy speaking schedule. 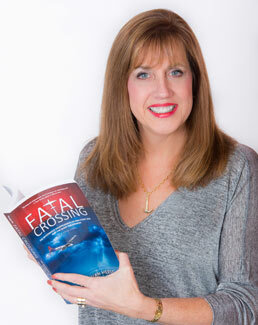 Since 2004, she has been working with author/explorer Clive Cussler to search for the Great Lakes most legendary lost airplane: Northwest Flight 2501, the subject of her most recent book, Fatal Crossing. 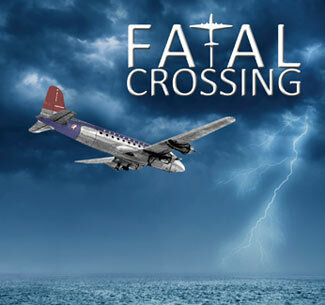 On June 23, 1950, Northwest Airlines Flight 2501, a DC-4 with 58 souls on board, disappeared over Lake Michigan. Shredded human remains washing ashore served as evidence of the country’s worst commercial aviation disaster. The wreck was never located and the cause of the accident was never determined. Over a half century later, nationally acclaimed author and explorer Clive Cussler of the National Underwater Marine Agency teamed up with Valerie van Heest of the Michigan Shipwreck Research Association to attempt to find the submerged wreck and solve the mystery of the plane’s disappearance. Van Heest will share how an unexpected meeting with a victim's son prompted a search of a different kind, one that would be more illuminating than submerged sections of twisted aluminum, and will reveal that the answers are sometimes found in unexpected places.